Oldham-based Inclusive Technology, provider of learning technologies supporting children with special educational needs, is delighted to announce that it has received the most prestigious business award in the UK – the Queen’s Award for Enterprise 2016 – putting Oldham at the heart of assistive technology innovation in the world in the year when HM The Queen celebrates her 90th birthday and the 50th year of the awards. The award is specifically for International Trade and focuses on the company’s online product HelpKidzLearn - a collection of software for young children and those with learning difficulties - and the impact it has had on special education in the UK, United States and 148 other countries. Inclusive Technology’s aim is to provide IT resources that help learners with more severe special needs and disabilities to communicate, learn and enjoy a more independent life. It specialises in developing accessible software for children with severe learning disabilities (SLD), profound and multiple learning difficulties (PMLD) or those without speech who need alternative or augmentative communication (AAC) who perhaps can only make a single voluntary movement or sound. 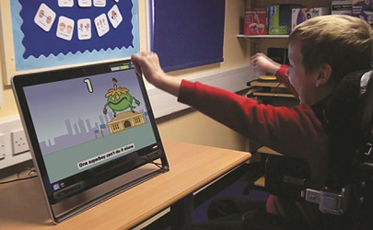 By providing the alternative keyboards, joysticks, rollerballs, switches and touch screens these learners may need – including eye-gaze technology, a way of accessing a computer simply by looking at the screen – Inclusive Technology resources can transform the learning experiences of these young people. HelpKidzLearn has 25,000 subscribers in 148 countries who use the software free of charge. An enhanced version of the service is then available on paid subscription for special schools around the world, with more than 70 per cent of subscribers in 32 overseas markets. The United States is the largest user of HelpKidzLearn with 53% percent of world revenues. Together with its associated resource ChooseIt! Maker 3, which allows teachers to make personalised learning apps and download them to an iPad or Android tablet – HelpKidzLearn has a presence in 48 of the 50 US States. In Europe the company now has 21 dealers in 14 countries and their resources are available in eight local languages - Catalan, Finnish, French, German, Italian, Spanish and Swedish, as well as American English. 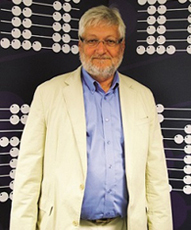 “I am absolutely delighted with this brilliant award, which I feel recognises the huge contribution that the whole British assistive technology industry has made during the past 40 years,” said Martin Littler, Chairman and CEO, Inclusive Technology. “Of course the Award is also a huge pat on the back for our team of developers, teachers and therapists, all of whom get a buzz from producing resources which can transform the lives of learners with special educational needs and disabilities (SEND). 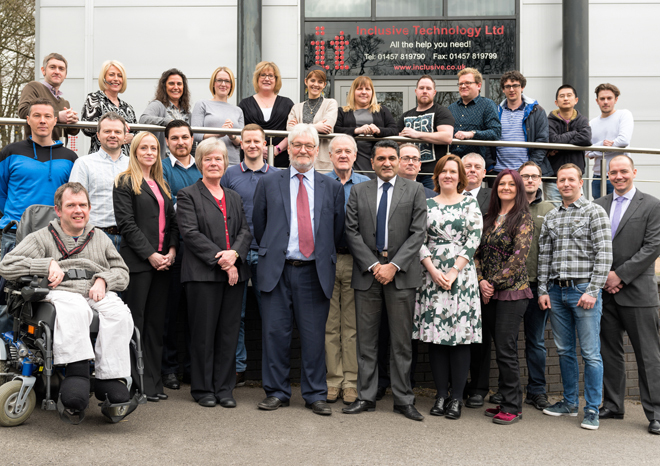 Inclusive Technology has been based in Oldham, Lancashire since its formation in 1996 and currently has 30 employees. Martin Littler and his managing director Sukhjit Gill will collect the award at a Buckingham Palace reception on July 14, 2016. In the meantime messages of congratulations have been pouring into the offices in Huddersfield Road.